Futures-Past Editions: BIG Thanks To Ernest Hogan! BIG Thanks To Ernest Hogan! Once upon a time in Amazing Stories, there was a man named Mayhem. Really, he became Johnny Mayhem after he was disembodied on a jungle planet. Voodoo? The word isn't used, but . . . he can now inhabit dead bodies for a month. 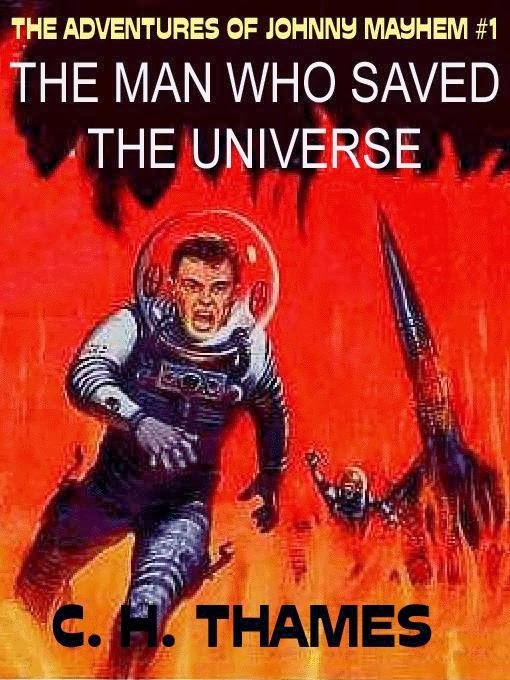 An alternate title for The Man who Saved the Universe [The Adventures of Johnny Mayem #1] by C.H. 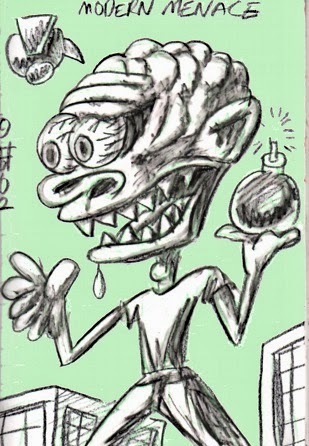 Thames could have been Johnny Mayhem, Galactic Zombie. The Galactic League keeps bodies on tap for him on all their planets, so they can send him to “hot spots” (that's Cold War speak for places that could go commie) to bring “law and order” and “sanity” through methods that could be considered terroristic – like assassinating the president of Earth! It's as if in 1955, the editors of Amazing looked out at America's leather-jacketed, switchblade-weilding youngsters and came up with a hero for them. It's not exactly “Rock and Roll hoodlums storm the streets of all nations” like in William Burrough's Naked Lunch, but it is action-packed pulp sci-fi sprinkled with wild, crazy ideas, just the sort of things to have in hour hand-held device for diverting chuckles as you navigate our chaotic, riotous 21st century reality. And Futures Past Editions is offering the first three Johnny Mayhem stories for free. Better get it before they come to their senses.